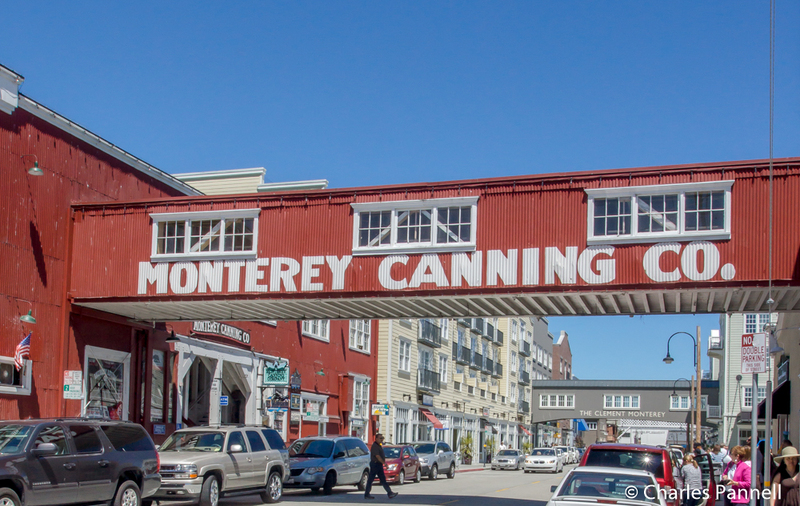 Littered with souvenir shops and chowder houses, Cannery Row is a popular stop on any Monterey itinerary. But for Steinbeck fans it holds an added appeal, as the author took many of his Cannery Row characters and places from real life — his real life. Today it takes a bit of imagination to conjure up images of Mack and the boys prowling through this tourist Mecca, however it’s still possible to get a few glimpses of the sites that came to life in the award-winning book. And the good news is, this Cannery Row Steinbeck stroll features wide level sidewalks, so it’s really accessible to everyone. The best spot to park is in the multi-level parking garage on Foam Street. It features elevator access to all levels and accessible parking spaces near the elevators. From the parking garage head north — in the direction of the smokestacks — to begin your walking tour. After you cross David Street, continue on for about a block, until you spot the American Tin Cannery Outlet up on the left. An unlikely stop on a Steinbeck tour, this outlet mall has a good collection of historic photographs on display, so it’s a great place to get a feel for the old Cannery Row. The majority of the photos are located near the information booth, where you can also pick up a map of the area. After you’ve completed your walk down Memory Lane, cross the street and head back to the smokestacks, where the Monterey Bay Aquarium marks the head of Cannery Row. This is also the former site of the Hovden Cannery. Even if you don’t visit the aquarium, be sure and take a short side trip down Hovden Way, located just to the right of the aquarium. It’s not a Steinbeck site, but, there’s a great ocean view out back. Although not mentioned by name in the book, the Sea Pride Cannery was located next door to the aquarium. 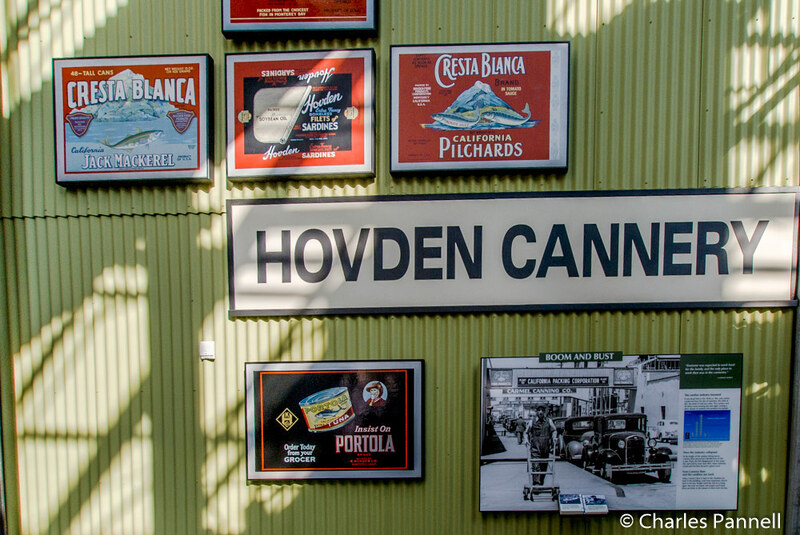 In the book Steinbeck called it the Hediondo Cannery, but it’s believed that this is the site that inspired its literary creation. Be sure and take note of the overhead walkway, which remains intact today. The next stop is located across the street — Austino’s Patisserie. Formerly Kalissa’s Café, this was the inspiration for the La Ida, one of two bordellos mentioned in Cannery Row. As you may recall, this is the place where Eddie the part-time bartender poured all the leftover drinks into a jug, for the Mack and the boys to enjoy at the flophouse. Next door, you’ll find the Wing Chong Market, which became Steinbeck’s Lee Chong’s. Although it’s a souvenir shop today, you can still see the historic Wing Chong sign out front. It’s one of the few surviving vestiges of the once prominent Chinese community on Cannery Row. 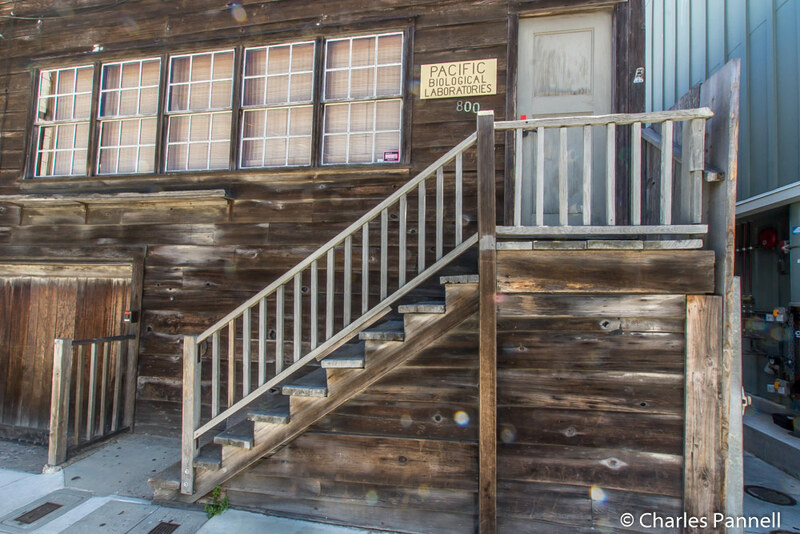 The best preserved Steinbeck building on Cannery Row is located just down the street at 800 Cannery Row. Pacific Biological Laboratory became Doc’s laboratory in the book, and former owner Ed Ricketts served as Steinbeck’s inspiration for Doc. Although this building isn’t open to the public, the front façade is particularly striking. 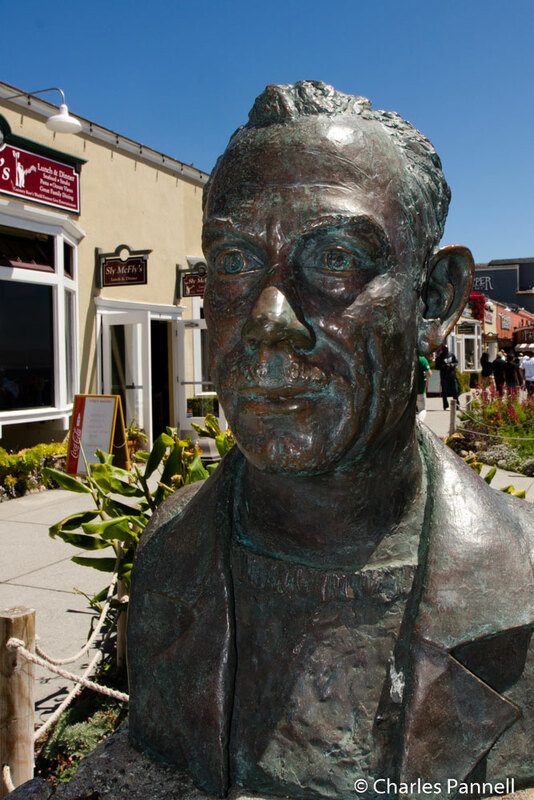 Wrap up your Steinbeck walking tour with a visit to Steinbeck Plaza, just down the street. You can’t miss it, as it’s prominently marked with a bust of the author. Formerly the site of a Portuguese whaling station, today the modern plaza is filled with shops and restaurants. 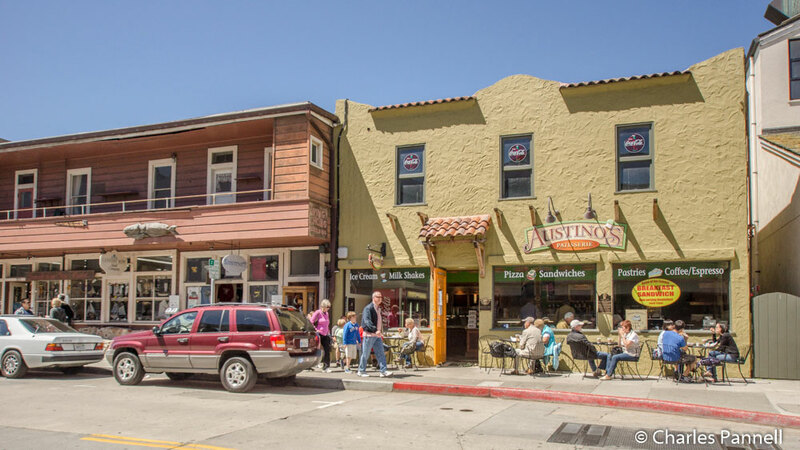 It’s the perfect place to stop for a snack or just take a break and reflect on remnants of old Cannery Row.